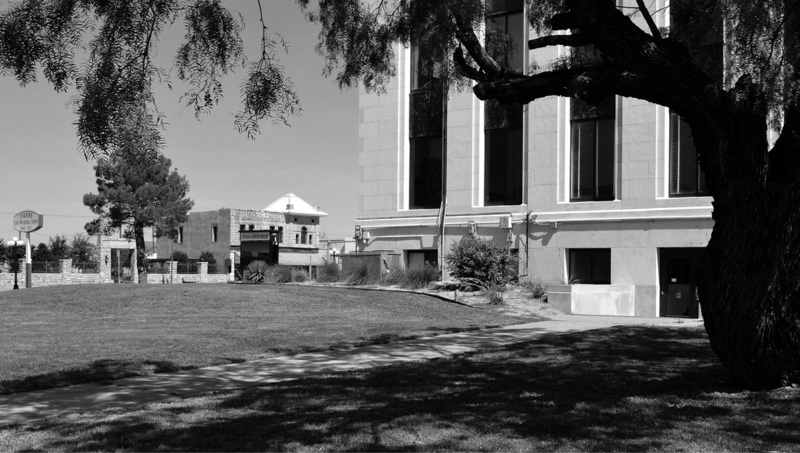 "The county's 920 square miles is forested mainly by mesquite, live oak, blackjack oak, and post oak, with pecan, elm, walnut, and cottonwood trees along the waterways. The altitude increases from east to west and ranges from 800 feet to 1,350 feet. future county by 1855, and by 1856 the first settlement, Keechi, was established. 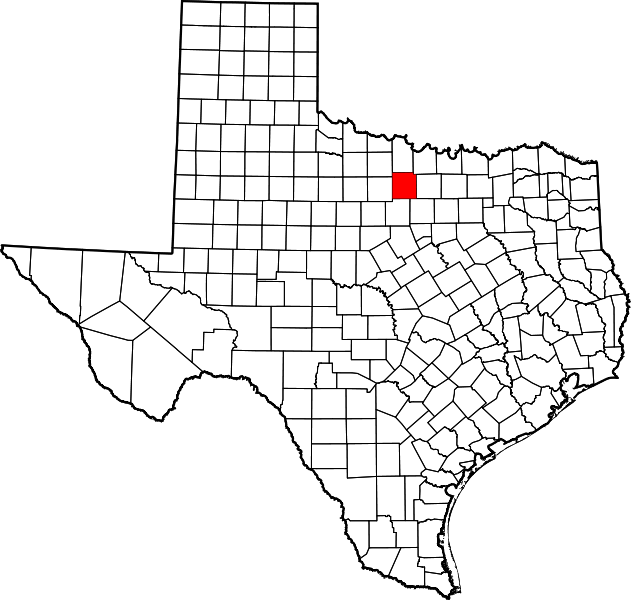 "The Texas legislature approved the establishment of the county on August 27, 1856, and named it for William H. and Patrick C. Jack, participants in the Texas Revolution. It is the only county with that name in the United States. The Butterfield Overland Mail crossed the county. 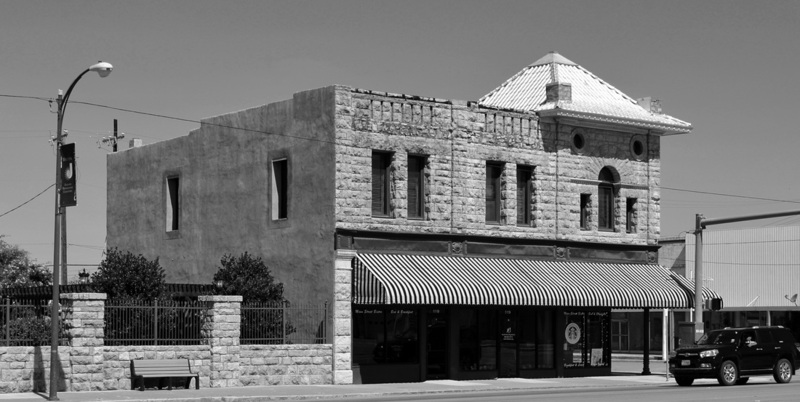 Fort Richardson, on Lost Creek near the site of present-day Jacksboro, was established by the United States Army in 1867 and completed in 1869. 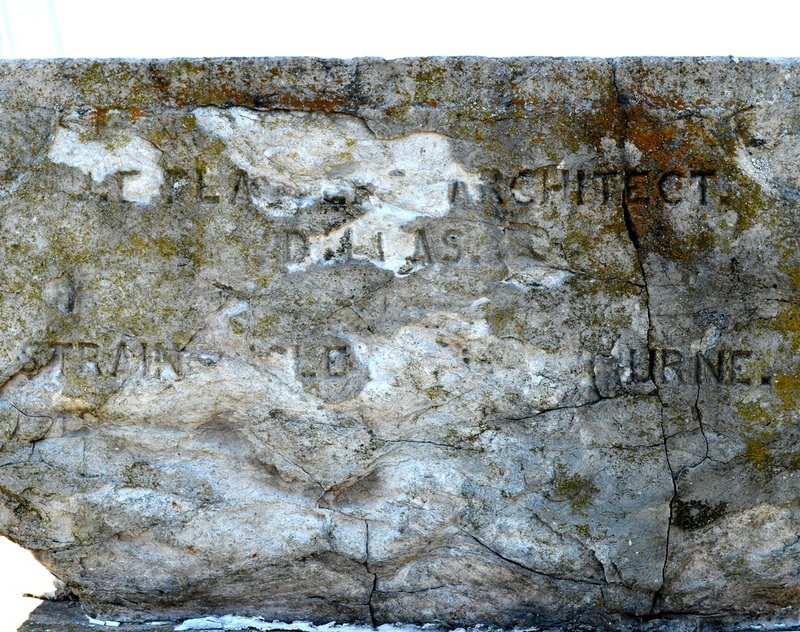 It was the most northern of the Texas frontier forts built to protect pioneers against Indian raids and was abandoned in 1878. 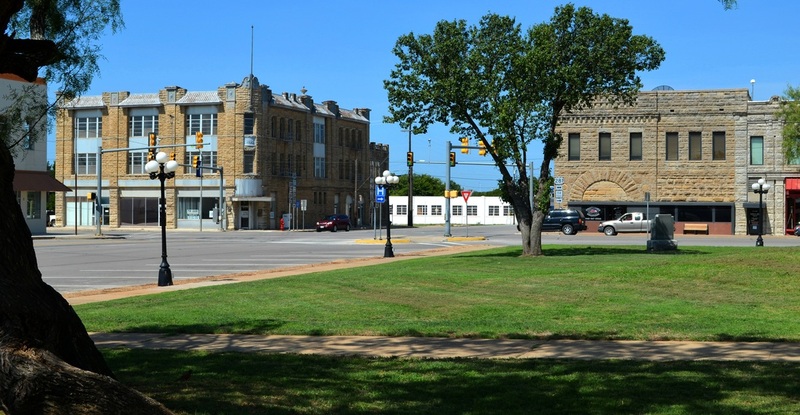 Mesquiteville was designated county seat; the town was later renamed Jacksboro. 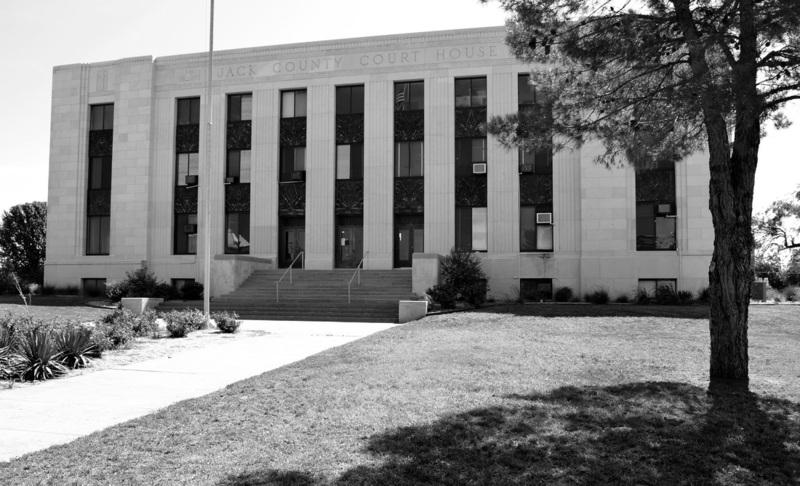 I visited Jack County and photographed the courthouse in Jacksboro on Sunday, August 4, 2013. 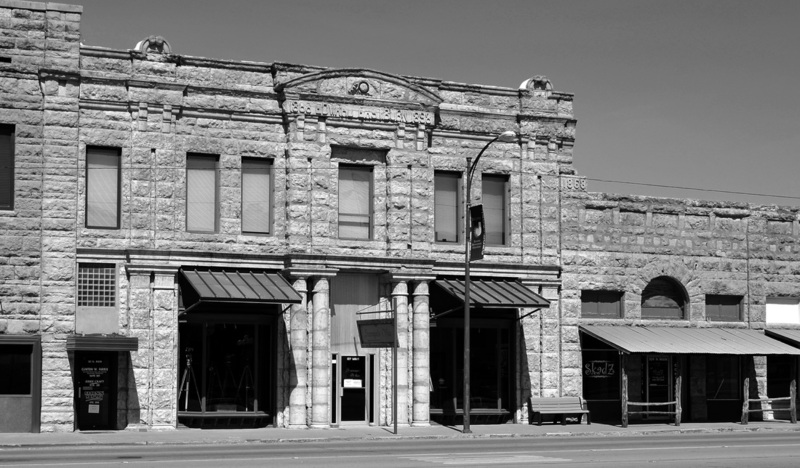 Architect James Edward Flanders designed this Italianate style building. The contractor was Strain, Risley & Winburn. 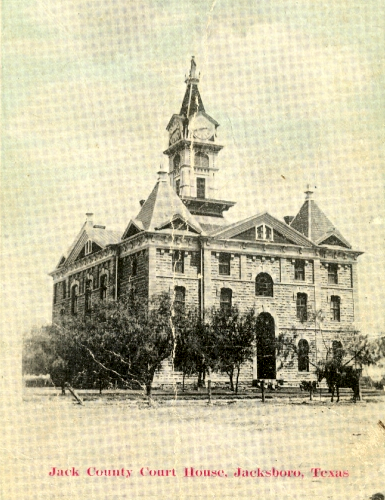 The building was demolished in 1938. 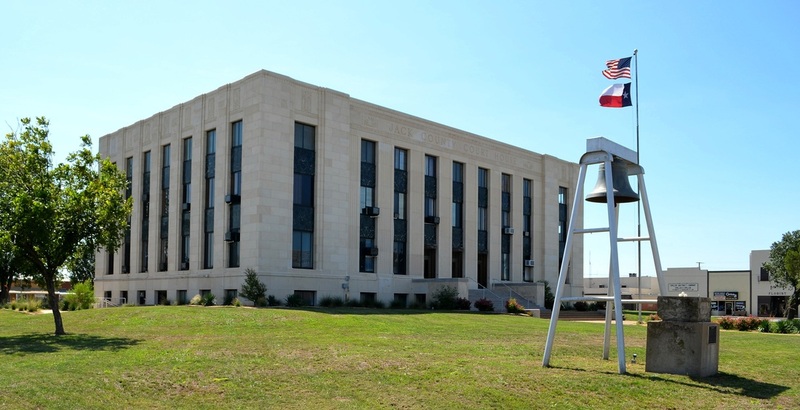 However, the cornerstone is displayed on the courthouse square. 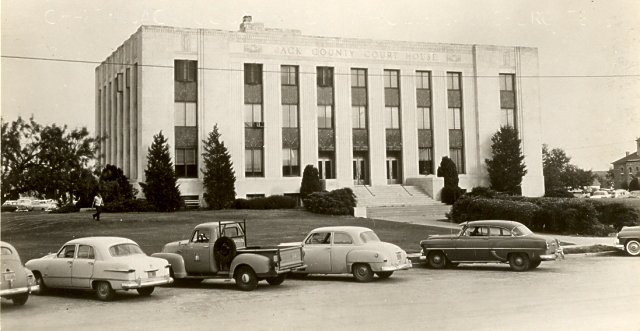 Architect for the Jack County courthouse was the Wichita Falls firm Voelcker and Dixon. 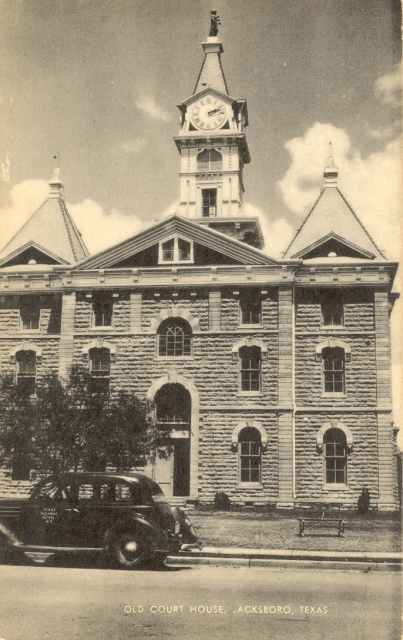 This was the last of their nine Texas county courthouses.